Chelsea was such a wonderful bride! 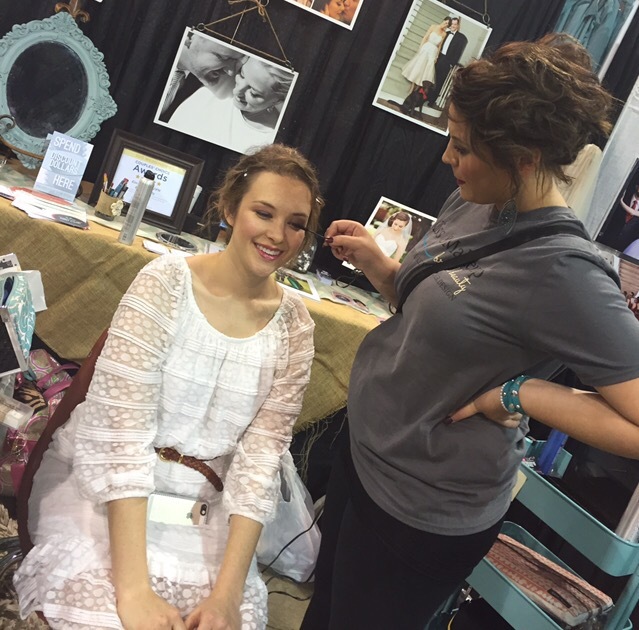 First time we met Chelsea was when she came to do her trial at the Arlington Signature Bridal Show. She agreed to be a model at the show! What a trooper! Chelsea asked for glowing skin and romantic smokey eye. Brea chose a pretty pewter plum to create the look and finished it with a rose gold shimmer. It was gorgeous and made her green eye pop! 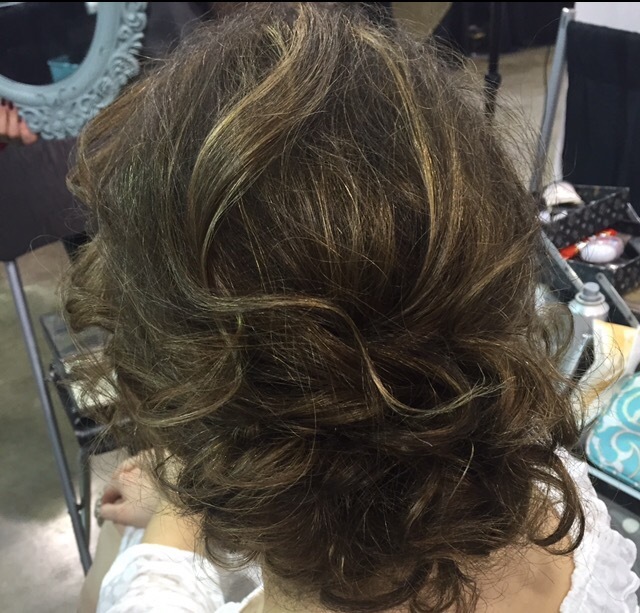 For her hair, Chelsea wanted to keep the bounce of her natural curls and sweep them back into a low soft updo. On the wedding day we beautified Chelsea, her mom and her wedding party. Everyone looked fabulous!! Aren’t these images by Monica Salazar Photography, gorgeous! You just have to go check out the rest of the wedding on Monica’s blog here!